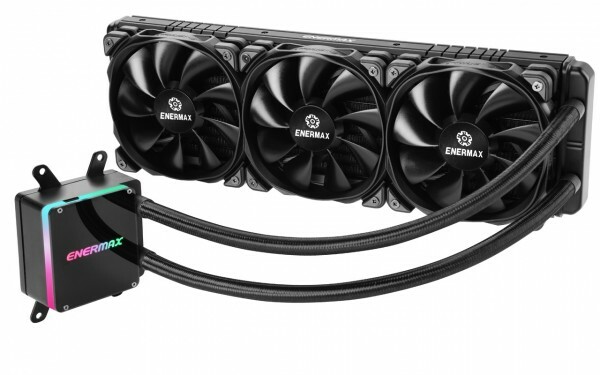 ENERMAX LIQTECH TR4 II series is especially engineered for AMD Threadripper, featuring patented Shunt Channel Technology (SCT), high pressure PWM fans and high-efficiency ceramic nano PI bearing pump to provide superior cooling performance up to 500W+ TDP. Moreover, the 2nd generation of LIQTECH TR4 cooler is equipped with a RGB water block that supports the latest addressable RGB (5V/D/-/G) lighting synchronization with motherboards. The included RGB control box is also simple and easy for users to customize the lighting speeds, effects, colors and brightness. LIQTECH TR4 II is perfect for overclocked PCs, image editing workstations, and high-end gaming machines.